Eurolanche fan club did an interview with the Avalanche prospect who is heading in his last season in the OHL. 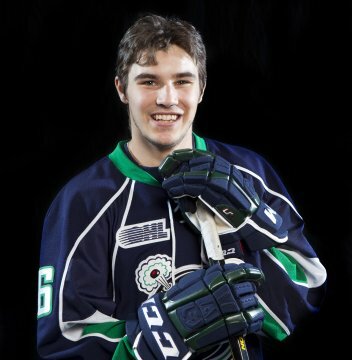 Garrett Meurs is a center playing in the junior league OHL for the Plymouth Whalers. 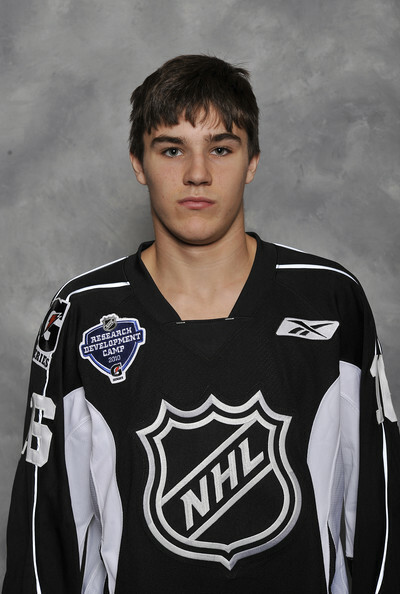 He was drafted by the Colorado Avalanche in 2011 from the 123rd place. He will spend one more year in the juniors. Then the Avalanche management will have to decide if they would offer first pro contract to Garrett or let him go as an unrestricted free agent. Garrett hopes he will get on the Lake Erie Monsters roster and will work hard to fulfill a dream of every hockey player – play in the NHL. Meurs earned 20 goals, 33 assists and 53 points in 67 games last season. All three categories were his best of junior career. He did not appear in the playoffs due to injury. 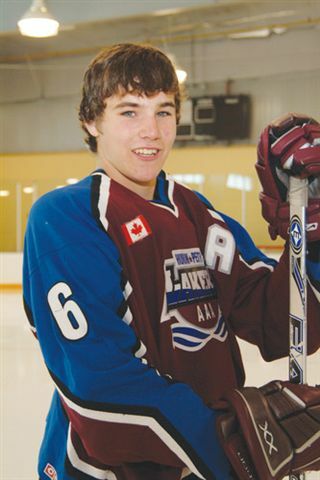 Previously, he gained 34, respectively 41 points in his first two seasons in the OHL. He was dressed in 20 playoffs games totally. He was born in 1993 in Canada. You spent your all three junior seasons in Plymouth Whalers. What is your nicest memory? I don't really have a nicest memory cause that would include every memory. My time in Plymouth has been amazing and I could not choose a memory to call my favorite. Whalers were eliminated in the second round of the playoffs last season after 7-game drama with Kitchener Rangers. You were led the series 3:2 before game 6. As the team, what did you do wrong? Getting hurt in the last game of the regular season last year really sucked as you play all year to make the playoffs and not being able to play was unfortunate. But as a team in the second round we just had a couple more injuries that really affected the team we had a chance at it last year and not making it past round to stung and that´s what the older guys are taking into this year as extra motivation. How would you rate the last year of Plymouth? Last year was a great season for us finishing 2 points out of first place. We went into the playoffs with high expectations for ourselves and we were just not able to make it past the second round but were hoping to turn it around and get passed that this year. You are heading into the final year in the OHL. What are your expectations? Going into this year my expectations are to improve my game as much as I can and help the team win every single night. You were drafted by the Avs from the 5th round of 2011 entry draft. Are you in some regular contact with the Avalanche organization? How works the relationship between prospects during their junior years and their NHL team? I am always in contact with the Avalanche organization, if they are at a game they will let me know how I can improve and what I did well. The relationship between prospects and their NHL organization is very good with the organization always wanting to get the best out of the prospects so always willing to give feedback and what they need to work on. What are you personal plans for the next couple of seasons after your junior career will end? My plan for after my junior career ends is to go play professionally for the Lake Erie Monsters and with hard work hopefully play in the NHL. You have got many points in the OHL, but also PIM too. Can you us describe your playing style? Are you power forward? 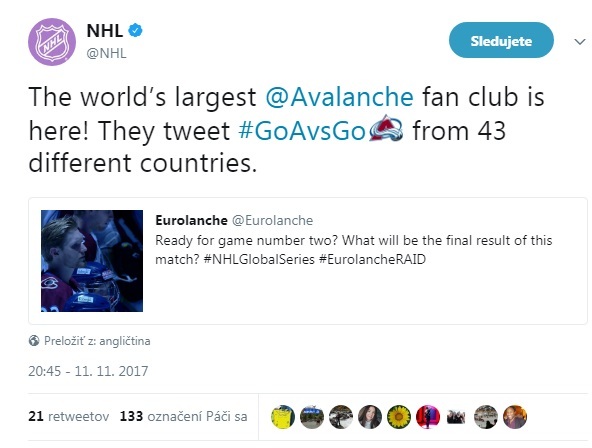 Can you compare yourself with some current Avalanche player if you remember on some name? I play a hardworking game but with my size I'm not much of a power forward I would consider myselef as more of a playmaker. As for a current NHLer I'm not sure who to compare myself to. Do you think that fact you are right handed right winger could you help you in your hockey career? There are not many players like you regarding this matter. The fact that I'm a right handed winger I believe will have no impact as a lot of wingers can play both the left and right wings. I know that no matter what hard work is always the best way. What do you think about the up-coming lockout? The upcoming lockout is unfortunate as I always enjoy watching hockey but things have to be fair and that´s what it is all about. At the end, what are your hobbies except hockey? How do you spend free time? Hobbies besides hockey are hanging out with teammates, video games or any other sport I can play.